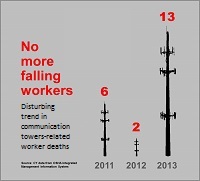 More communication tower workers were killed in 2013 than in the previous two years combined, and four more tower-related deaths have already occurred in 2014. Every one of those deaths was preventable. This disturbing trend appears to be continuing, and actions must be taken to prevent more deaths. "We are very concerned about this sharp rise," said Assistant Secretary of Labor for Occupational Safety and Health Dr. David Michaels in a Feb. 25 message delivered to the National Association of Tower Erectors. "The fatality rate in this industry is extraordinarily high—tower workers are perhaps 25 times more likely to die on the job than the average American worker." OSHA is using all of its available tools to improve the safety of telecommunications workers, including reaching out to educate industry and workers, providing free small business consultations, and increasing enforcement in this industry. For more information, see the press release, read the new blog post, view a recording of Dr. Michaels’ address, or read his full remarks. The GEO Group Inc., based in Boca Raton, Fla., has entered into a corporate-wide settlement agreement with the U.S. Department of Labor that requires the company to implement comprehensive procedures and policies to better safeguard its workers against the hazards of workplace violence in every correctional and adult detention facility that it manages in the nation. "This corporate-wide settlement agreement will have a far-reaching effect and impact on correctional officers and other staff nationwide," said Teresa A. Harrison, OSHA’s acting regional administrator in Atlanta. "This agreement is the first of its kind in the corrections industry that addresses the hazards associated with workplace violence." In June 2012, OSHA cited the GEO Group for workplace safety violations at a prison facility it managed in Meridian, Miss. For more information on the settlement, see the news release. To learn more about workplace violence prevention, visit OSHA’s Safety and Health Topics page on workplace violence. 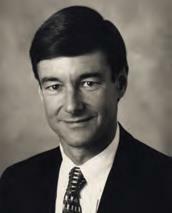 "We are deeply saddened by the passing of former Assistant Secretary Joe Dear. While he served in many roles throughout his life, Joe was always a tireless advocate for worker safety and health. During his time as the ninth Assistant Secretary of Labor for OSHA, Joe made a series of lasting impacts that we are still benefitting from to this very day. He was a bold and forward-thinking leader who embraced innovation, bringing technological advancements to the agency that have revolutionized the way we do our work. He strove to hold employers accountable by increasing penalties for willful violations and finalized some of our most important worker protection standards for electrical power generation, construction and shipyard safety, hazard communication, and personal protective equipment. While the world of occupational safety and health has lost a great defender, his legacy will live on for the many years to come. Our hearts go out to his family and loved ones." Dear’s family has established a memorial scholarship in his name at The Evergreen State College, his alma mater. OSHA recently published an interim final rule establishing procedures and time frames for handling retaliation complaints under the Food Safety Modernization Act. FSMA, signed into law January 2011, provides employees who disclose information about a possible violation of the Food, Drug and Cosmetic Act with protection against retaliation from businesses engaged in the manufacture, processing, packing, transporting, distribution, reception, holding or importation of food. This interim final rule establishes procedures, burdens of proof, remedies and statutes of limitations similar to other whistleblower protection statutes that OSHA administers. Individuals may submit comments by April 14, 2014. See the news release for details. OSHA enforces the whistleblower provisions of the Occupational Safety and Health Act of 1970 and 21 other statutes. Additional information is available at www.whistleblowers.gov. Following an incident where a machine operator’s arms were crushed, OSHA has cited Custom Rubber Products LLC with eight willful egregious violations. Proposed penalties for the Houston facility total $560,000. “Moving machine parts can crush workers or amputate fingers or limbs in an instant," said Eric Harbin, OSHA’s acting regional administrator in Dallas. “Safeguards are essential for protecting workers from these preventable injuries. Employers must ensure that guards are functioning on machines that can cause these injuries, and there is no excuse for failing to provide them." Prompted by a complaint, OSHA’s inspection found that the company created a dangerous work environment by failing to protect machine operators and other workers in the machine area from hazards created by rotating parts. During the inspection, OSHA became aware of two other incidents that had previously occurred at the facility involving employees being severely injured while operating similar machinery. See the news release for more information. OSHA has cited forest products manufacturer Dupont Yard Inc. for 22 safety and health violations following a complaint about hazardous working conditions at the company's Homerville, Ga., facility. Proposed penalties total $279,400. In four previous inspections over the past six years, Dupont Yard has been cited with 39 violations. "Since 2007, this employer has known about the dangers of a lack of machine guarding and exposure to electric shock, but repeatedly puts workers at risk of serious injury or death," said Robert Vazzi, OSHA's area director in Savannah. "Earning a paycheck should not involve being in an unsafe work environment." OSHA cited the company for willfully failing to implement basic lockout-tagout procedures to prevent amputations and other serious injuries during maintenance. Other willful citations include exposing workers to electrical hazards and to unguarded rotating chains and sprocket wheels. The company has been placed in OSHA's Severe Violator Enforcement Program, which mandates targeted follow-up inspections to ensure compliance with the law. Read the news release for more information on the citations issued by OSHA. Domestic Casting Co. LLC has been cited by OSHA for 26 alleged safety violations found at its Shippensburg, Pa. foundry. OSHA initiated an inspection in August 2013 in response to a complaint. The company faces $163,240 in proposed penalties. "Compromising worker safety will not be tolerated. Domestic Casting continues to put its workers at risk of serious injury or possible death by not addressing and correcting these hazards," said Kevin Kilp, director of OSHA's Harrisburg Area Office. "Employers that fail to uphold their responsibility to protect workers and provide a safe and healthful workplace will be held accountable." Repeat violations by the employer include failing to guard open-sided floors and platforms, failing to enclose sprocket wheels and chains, and exposing workers to electrical hazards. The company was cited for similar violations in 2011 and 2013. In addition, serious citations were issued for exposing workers to struck-by, fall, amputation, electrical, tripping and other hazards. For more details and to read the citations, view the press release. OSHA has issued its annual inspection plan under the Site-Specific Targeting 2014 program. The plan directs enforcement resources to workplaces with the highest rates of injuries and illnesses. The SST plan is based on data collected from a survey of 80,000 establishments in high-hazard industries. The SST program is one of OSHA’s main programmed inspection plans for high-hazard, non-construction workplaces with 20 or more workers. OSHA also implements 13 National Emphasis Programs and approximately 140 Regional and Local Emphasis Programs that intensify inspections of hazards or industries such as lead, silica, shipbreaking, trenching/excavations and process safety management. See the news release for more information. Public hearings on OSHA’s proposed silica rule are scheduled to begin March 18, 2014, at the Department of Labor’s Frances Perkins Building in Washington, D.C. The deadline for requests to participate was Dec. 12, 2013. However, members of the public are welcome to attend and listen to testimony from OSHA, its expert witnesses and other interested parties. Those members of the public who filed a timely written notice of intention to appear can also ask questions of agency officials and other witnesses during the hearing. For additional information on the proposed rule, visit www.osha.gov/silica/. In addition, the comment period on OSHA’s proposed rule to improve workplace safety and health through improved tracking of occupational injuries and illness will be closing March 10, 2014. The proposed rule would amend OSHA’s recordkeeping regulations to add requirements for the electronic submission of injury and illness information that employers are already required to keep. It was originally scheduled to close March 8. However, this date falls on a Saturday. The agency will accept comments submitted March 10 as timely. Comments may be submitted electronically at www.regulations.gov, the Federal eRulemaking Portal or by mail or facsimile. See the Federal Register notice for more details. Finally, OSHA is extending the public comment period on the request for information on potential revisions to its Process Safety Management standard and related standards for an additional 21 days to March 31, 2014. In response to requests for an extension, the deadline to submit written comments is being extended to allow stakeholders additional time to comment on the proposed rule and supporting analyses. The RFI is in response to Executive Order 13650, which seeks to improve chemical facility safety and security, issued in the wake of the April 2013 West, Texas, tragedy that killed 15 in an ammonium nitrate explosion. See the news release for details on submitting comments. OSHA recently co-chaired several listening sessions regarding Executive Order 13650 on Improving Chemical Facility Safety and Security. Deputy Assistant Secretary Jordan Barab chaired a session in Baton Rouge, Louisiana on Feb. 19 along with Area Director Dorina Folse. On Feb. 27, New York Area Director Bob Kulick and Director of OSHA’s Office of Engineering Safety Lisa Long attended another listening session in Newark, NJ, marking the 14th session of the series. Frequent topics have included safer processes, worker/union participation and improved emergency response. Signed on August 1, 2013 by President Obama, Executive Order 13650 is a multi-agency initiative to improve chemical safety and storage across the country. The Department of Labor, the Department of Homeland Security, Environmental Protection Agency and other federal agencies have joined forces to improve agency coordination, modernize policies and standards and identify best practices. The series of public listening sessions encourage input from stakeholders to reduce safety and security risks in the production and storage of potentially harmful chemicals. For more information on the executive order and upcoming opportunities to participate, visit the OSHA website. 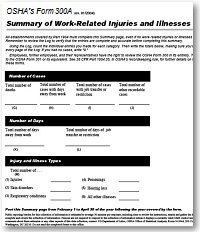 OSHA is reminding covered employers to post OSHA's Form 300A, which summarizes the total number of job-related injuries and illnesses that occurred during 2013 and were logged on OSHA's Form 300, Log of Work-Related Injuries and Illnesses. The summary must be posted between Feb. 1 and April 30, 2014, and should be displayed in a common area where notices to employees are usually posted. Employers with 10 or fewer employees and employers in certain industries are normally exempt from federal OSHA injury and illness recordkeeping and posting requirements. A complete list of exempt industries in the retail, services, finance, insurance and real estate sectors can be found at Partially Exempt Industries. Construction safety, combustible dust, fall protection, crane safety, organizational change management and developing a safety culture will be featured topics at the workshops and breakout sessions at the Downstate Illinois Occupational Safety and Health Day, Wednesday, March 5, in the Peoria, Ill., civic center. “The conference will offer safety professionals in downstate Illinois the chance to gain important information, learn about valuable resources and network with hundreds of their peers," said Thomas Bielema, director of OSHA’s Peoria office. “Numerous exhibitors will join governmental and nonprofit organizations in demonstrating products designed to make the workplace safe and healthful." This DIOSH Day will also feature a health fair with free screenings. For more information and to register, call 877-346-7432 toll-free or visit www.dioshday.com. Midwest Certified Training and the Latino Academy of Workforce Development are now offering classes in Spanish which address fall protection safety. Construction contractors, workers, firms who hire roofers and field employees are all encouraged to attend the classes to understand fall hazards in construction as well as the applicable OSHA standards. Spanish-language classes offer training on roof work safety, ladder safety and personal fall arrest systems, in support of OSHA’s initiative to ensure that workers receive safety training in a language and vocabulary that they understand. Classes are held the second Friday of every month in Madison, Wisconsin. Those interested in attending can register by calling 608-310-4573. 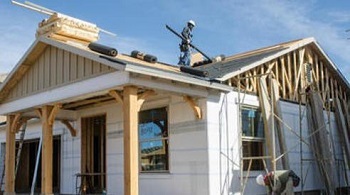 To learn more about preventing fatal falls in construction, visit www.osha.gov/stopfalls/. Members of the Whistleblower Protection Advisory Committee will meet March 11 at the Labor Department's Frances Perkins Building in Washington, D.C. In conjunction with the full committee meeting, work groups will meet to discuss Section 11(c), transportation industry issues, and industry best practices on March 10. For additional information, see the Federal Register notice. OSHA has developed Safe Patient Handling, a new brochure that addresses the prevention of musculoskeletal disorders among nursing home and residential care workers and explains the benefits of implementing safe patient handling programs. For more information about safe patient handling and on protecting healthcare workers, visit OSHA’s Healthcare Web page. In addition, a new Spanish-language Whistleblower Fact Sheet is available, which details the rights of whistleblowers under the Food Safety Modernization Act. Visit www.whistleblowers.gov for additional fact sheets in English and Spanish. 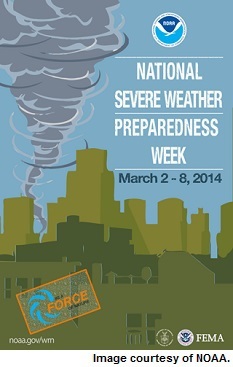 OSHA and the National Oceanic and the Atmospheric Administration have joined forces for National Severe Weather Preparedness Week, March 2-8, to address the unique hazards that severe weather poses for workers and employers. OSHA and NOAA encourage employers to stay aware of weather forecasts, train workers on workplace severe weather plans, and keep emergency supplies, including a battery-operated weather radio, on hand to be better prepared when severe weather strikes. Employers must also ensure that workers involved in response and recovery are protected from potential safety and health hazards. OSHA provides resources on workplace preparedness and response for severe weather emergencies including tornadoes, floods, and winter weather, among others. Follow all of the week’s activities on NOAA’s Web page and visit OSHA’s Tornado Preparedness and Response page for more information on protecting workers from severe weather events. OSHA is gathering stakeholder input on the heat illness prevention campaign with a brief survey to evaluate the usefulness of the heat illness prevention campaign website and to identify possible modifications for next year. The survey does not collect any personal information from visitors – only opinions and evaluations of the heat illness prevention campaign. It can be accessed from the heat campaign homepage (click on "Tell us what you think") or at www.surveymonkey.com/s/2013HeatWebpageSurvey. If this email was forwarded to you and you'd like to subscribe, please visit: /as/opa/quicktakes/subscribe.html. Register for your FREE QuickTakes newsletter today!